Description: The city got its name from the Cistercian Abbey of St. Gotthard, which was established in 1183. The abbey and the church was destroyed several times, the current state is from 1755. This abbey's church is one of the largest baroque temple of Hungary. 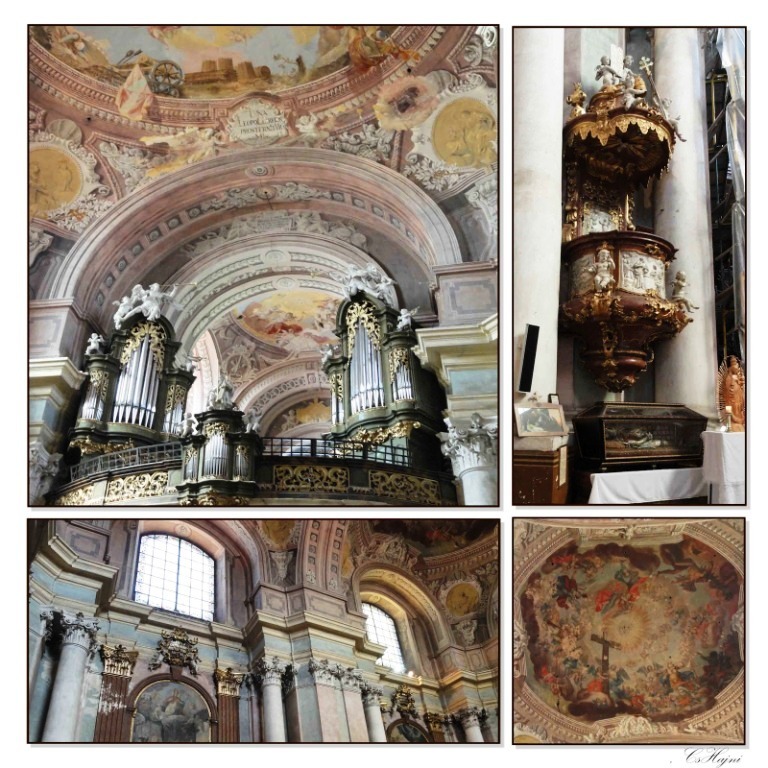 The first organ in the church was built by Ferdinand Schwarz in 1764. He was an organ builder in Graz. The organ was two-manual and 23-registers, it is not included reed-stops. The organ was rebuilt several times, and in 1932 the Rieger organ factory declared beyond repair and organ thrown in the trash. All the mechanics and whistles of Organ destroyed, only the magnificent baroque organ case was pardoned. The Rieger factory built a 12 registers pneumatic instrument to replace the previous organ, which was used for liturgical purposes. The Rieger organ was removed in 1987, and the Aquincum organ factory built a 19-register Neo-Baroque instrument that tries to follow the original organ sounds. The reed stops made Carl Giesecke. The organ was designed by organ artists Lukács Áment and Gábor Trajtler. We do not know the original instrument sounded, but the new organ to perform well in the wonderful space tof church.